For those who are familiar with the inner workings of the iOS jailbreaking scene, you will be more than aware of the existence of the developer chpwn. We have had numerous posts over the years about his work, with the most recent coming only a couple of days with the release of his Siri based tweak called Spire. Well, this morning the jailbreak community can sigh a breath of relief as one of the their most accomplished developers has announced the release of his latest tweak, Zephyr. Chpwn has been teasing over the last couple of weeks about the imminent release of his awesome new gesture based tweak. It seems that whenever Grant Paul is about to release a new tweak the buzz is always high, even more so this time considering another popular developer, Steve Troughton-Smith, had publicly dubbed Zephyr one of the coolest tweaks although he maybe a tad biased as the tweak itself was apparently inspired by a Tweet from Troughton-Smith. Troughton-Smith had Tweeted saying "iOS on the iPhone really needs edge-swipe multitasking gestures". So who better to take up the challenge than the man behind the Infiniapps series, Voice Activator and various other premium tweaks? The two developers obviously have a good working relationship which has been previously demonstrated by combining their efforts to produce a working Siri port on the iPhone 4. So just what is Zephyr? The developer introduces it as his ‘new gesture’ tweak, but upon deeper inspection it seems that it is much more than that. Zephyr works as an extremely functional enhancement which is deeply rooted within the operating system. When installed, Zephyr brings additional swipe features allowing users to not only smoothly bring up the multitasking switcher bar, but to also seamlessly swipe between active applications. This method of switching between applications using gestures is probably more familiar to iPad users as this is currently supported in the iPad iOS 5 software. For those who have used a Nokia N9 device, you may also recognize the edge-swipe gestures from the Linux based platform,MeeGo, which runs on that device. 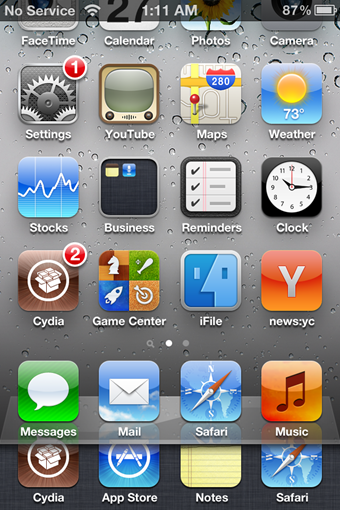 Regardless of where the inspiration comes from, the added functionality that Zephyr offers feels extremely native on the iPhone and iPod touch, and that is possibly the highest compliment I could pay to chpwn. 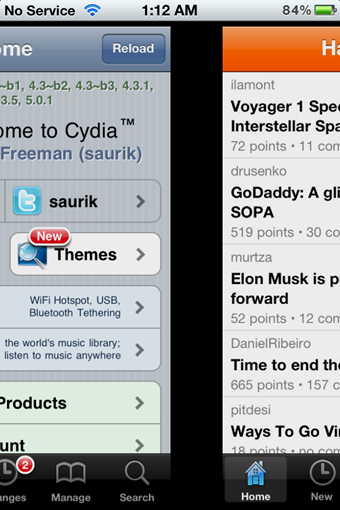 Zephyr is available now on the Cydia store for the iPhone and iPod touch at a price of $2.99. You will obviously need to have jailbroken device to run it. For jailbreaking iOS 5 untethered, follow our complete step by step instructions posted here to jailbreak iPhone, iPad, iPod touch on iOS 5.0.1 using Redsn0w.